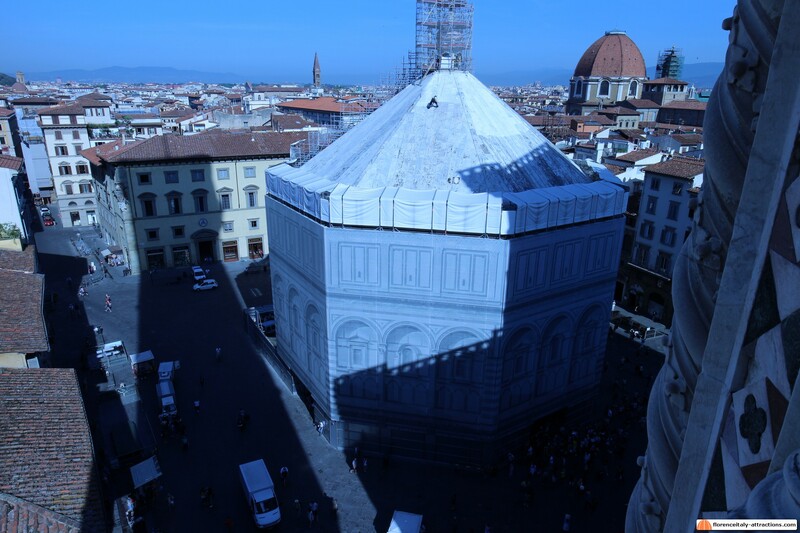 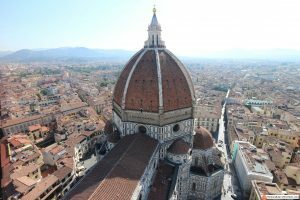 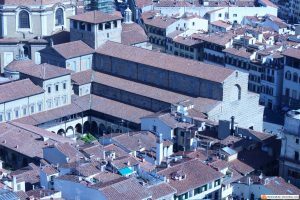 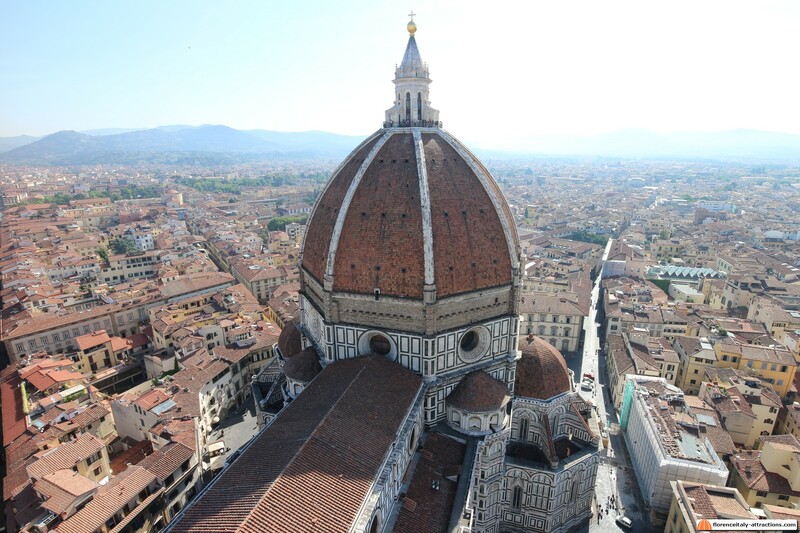 Many people buy the Duomo ticket (€ 15) to visit the Baptistery and climb on top of Brunelleschi’s Dome, but only a few take full advantage of the monuments included in this 24 hours ticket. 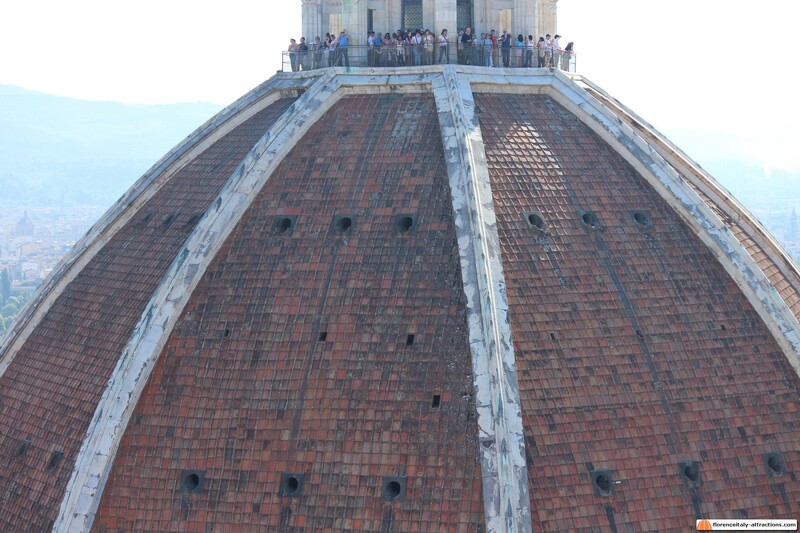 Someone (mainly because of the lines they find for climbing the dome) goes climbing Giotto’s Campanile, the Bell Tower of the Florentine Cathedral, and they don’t regret their decision, because when you climb Brunelleschi’s Dome, actually something is missing in the landscape, and that is: Brunelleschi’s Dome! 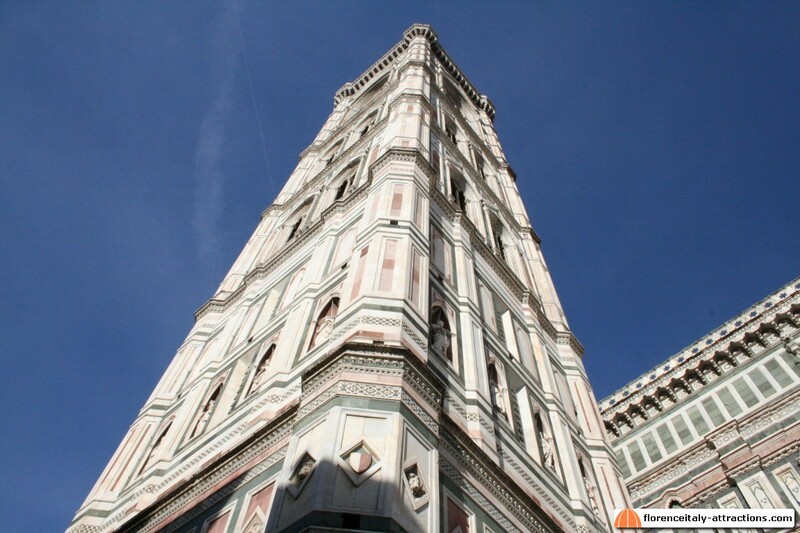 Giotto became the master architect of the Cathedral in 1334. 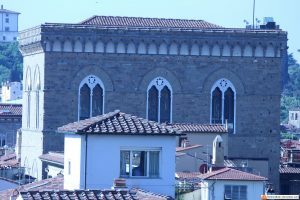 He was the most famous artist in Florence at that time, and I bet he wasn’t happy of the fact the huge church had been started by someone else 38 years earlier. 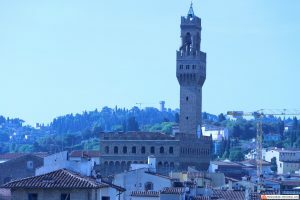 What the proud artist did was to actually stop the construction to dedicate to the Campanile (Bell Tower), that he designed and started building. 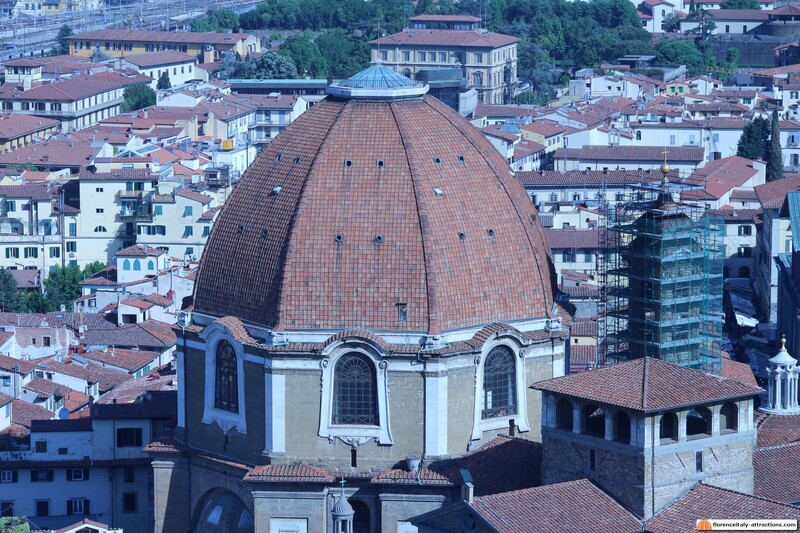 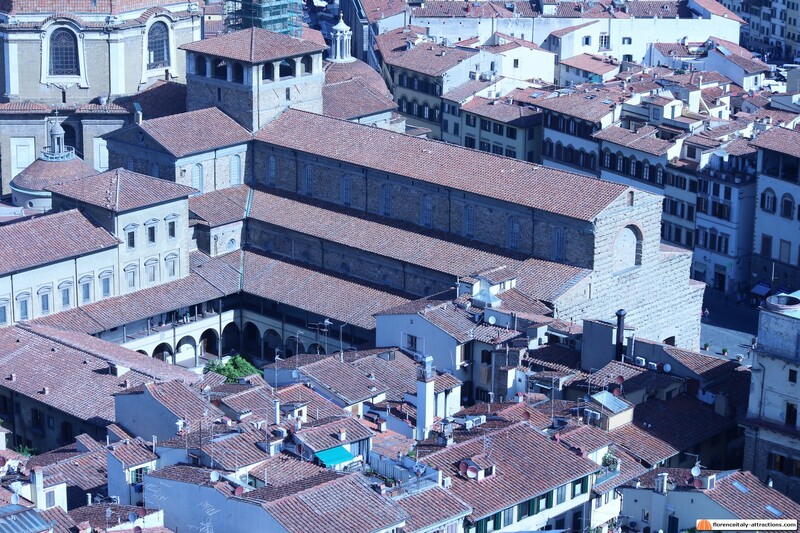 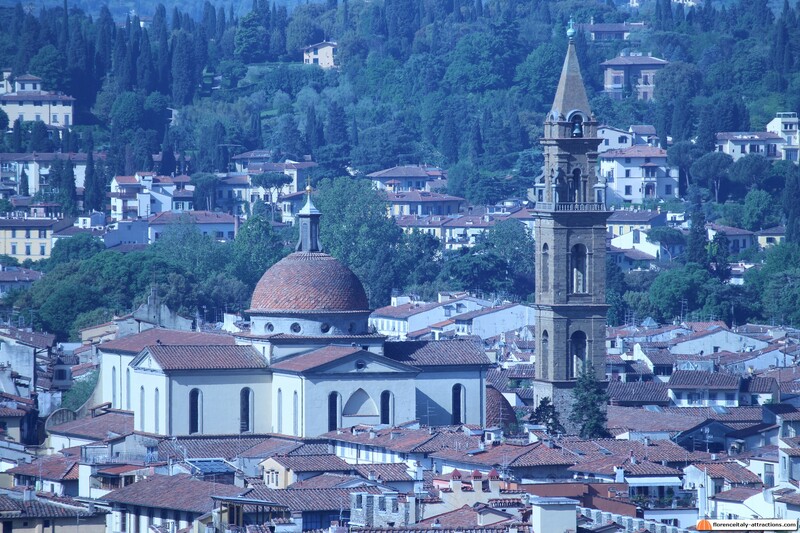 Giotto died in 1337 when only the lowest level of the Bell Tower named after him was ready. 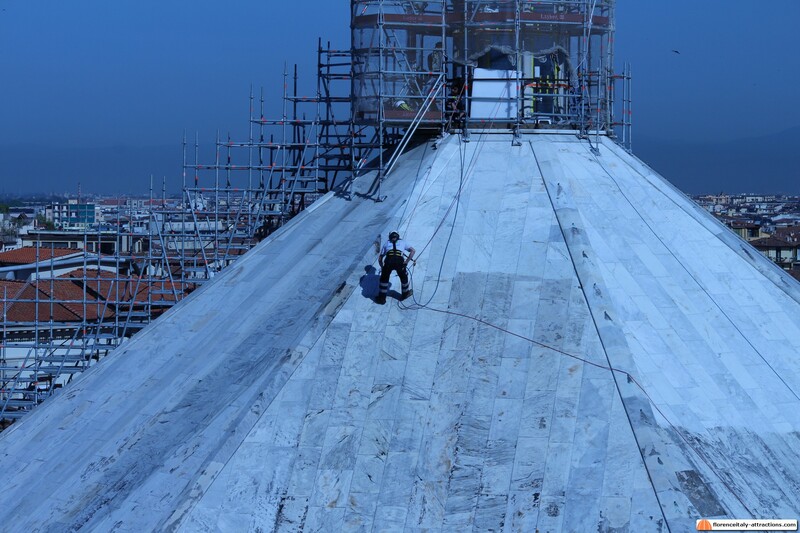 The monument will be finished only 22 years later, partially following the design by Giotto. 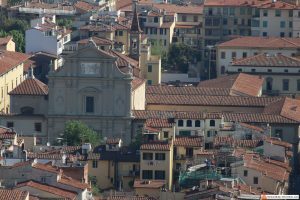 The first level, featuring bas-relief panels that represent the “universal order”, and the second level, built by Andrea Pisano after the death of Giotto, are the only two that strictly follow the original design. The next master architect, Francesco Talenti, who resumed the construction after the black death, added the gothic windows, originally not included in the design, that lend lightness to the construction and make climbing Giotto’s Campanile such an amazing experience. 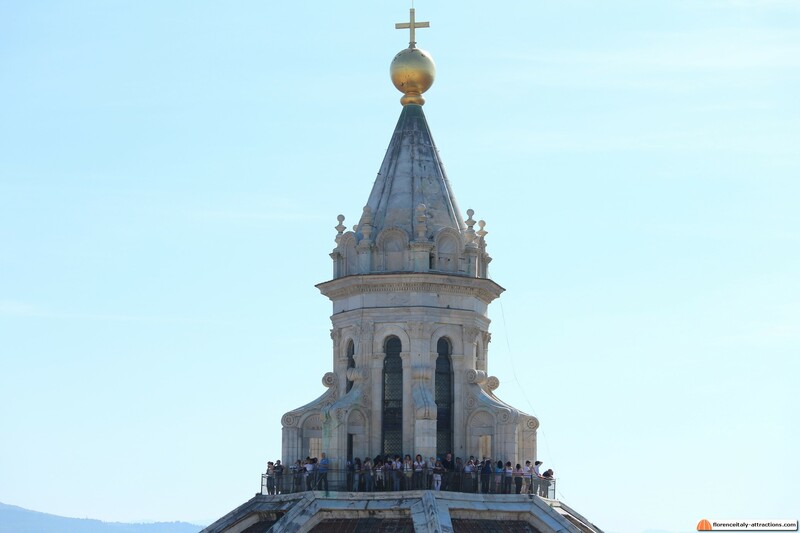 Climbing Giotto’s Campanile is certainly fatiguing, as there are 414 steps, but you can have some rest at least three times during the climb because there are three levels with windows. 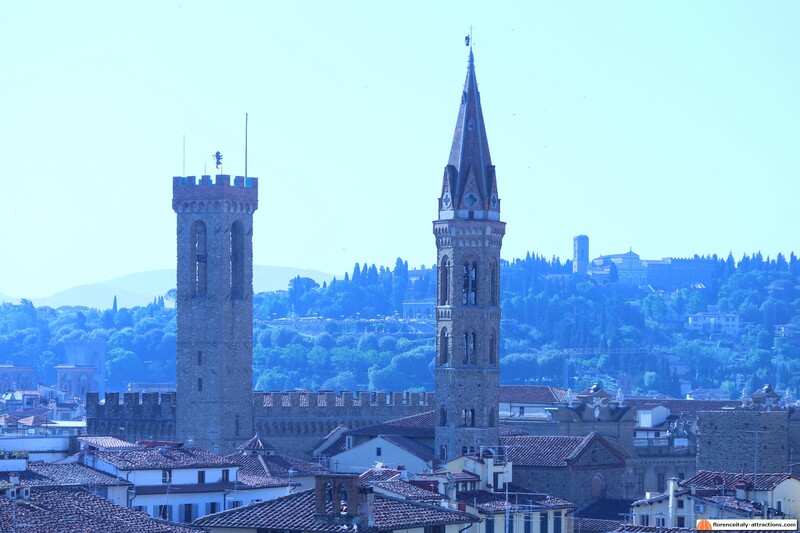 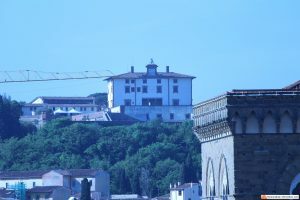 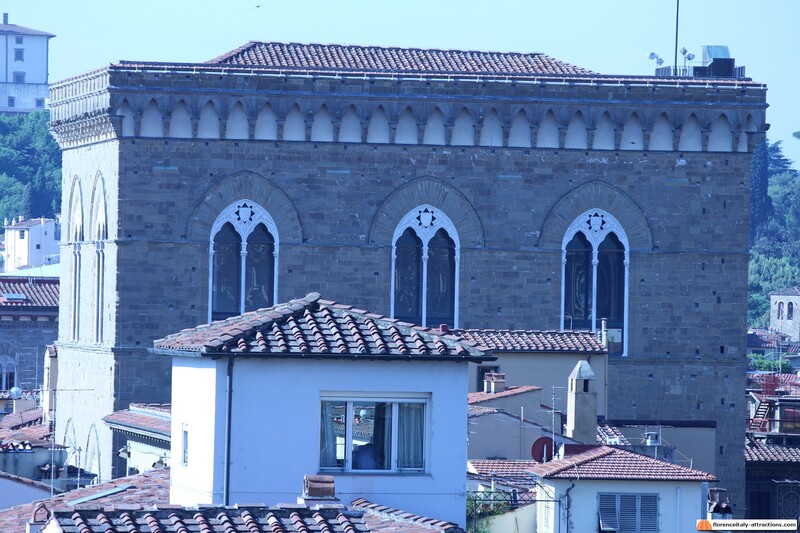 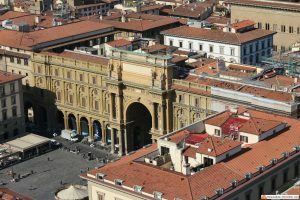 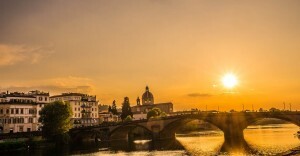 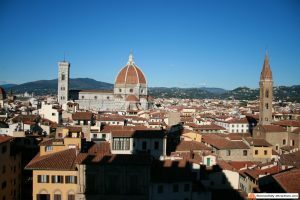 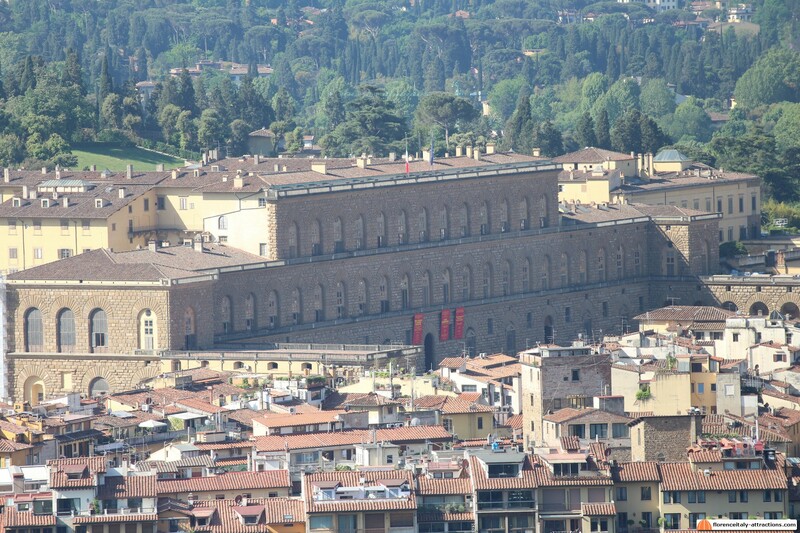 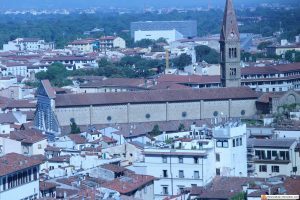 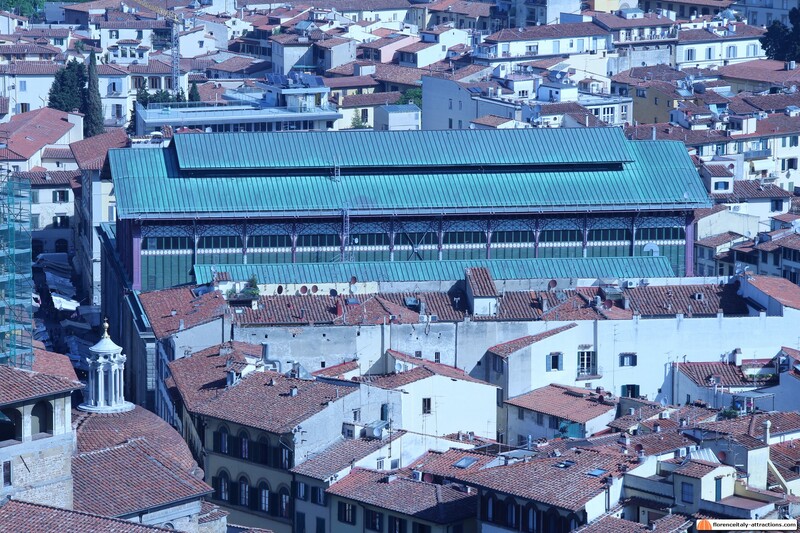 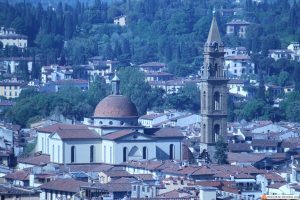 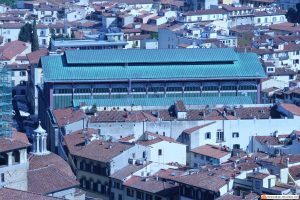 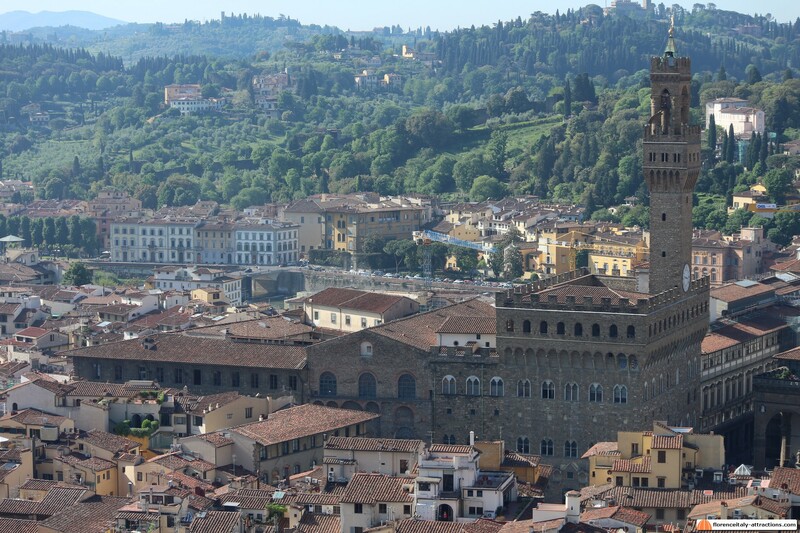 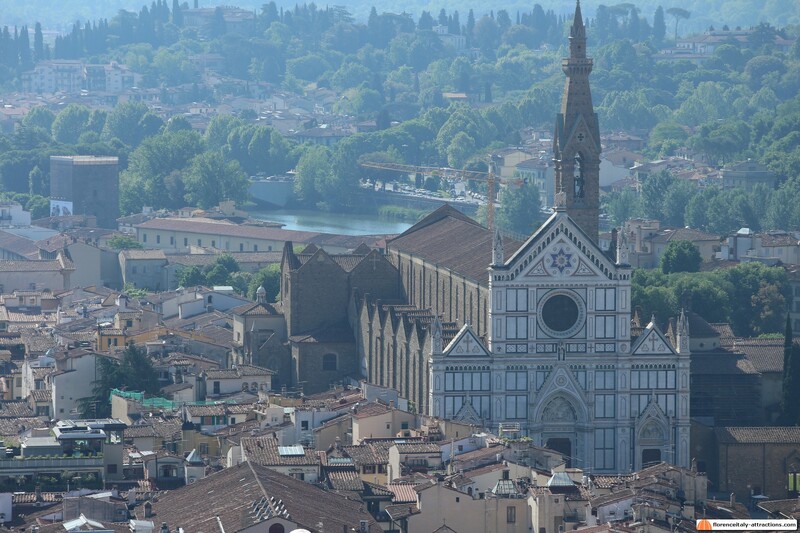 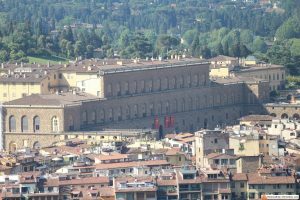 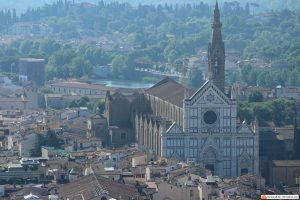 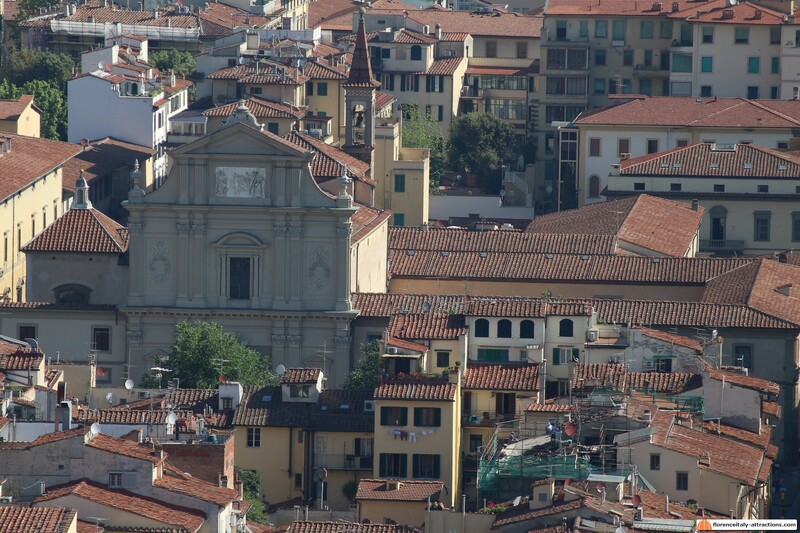 From each of these levels, you can see the beautiful city center of Florence, with a sight that progressively enlarges and includes more things, up to the roof terrace, where you are rewarded with a comprehensive view of all the monuments, especially the dome by Brunelleschi. 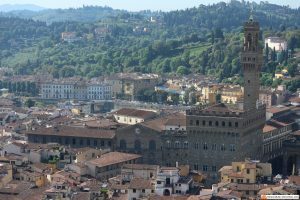 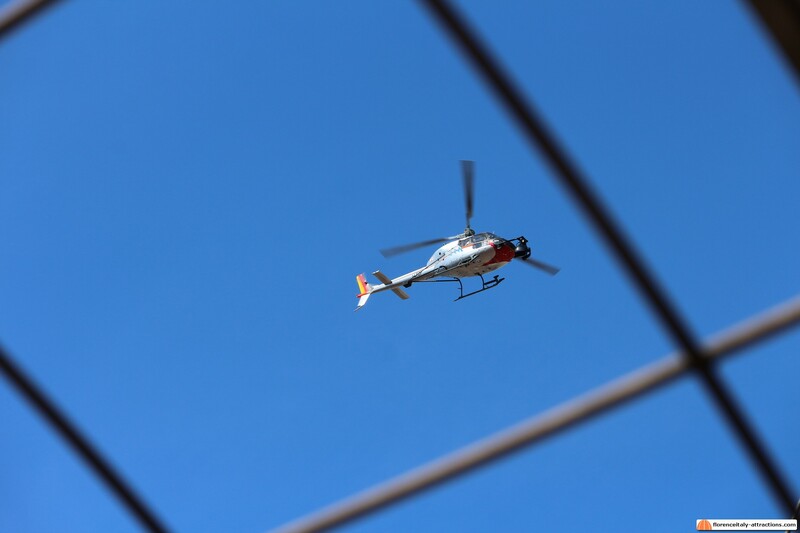 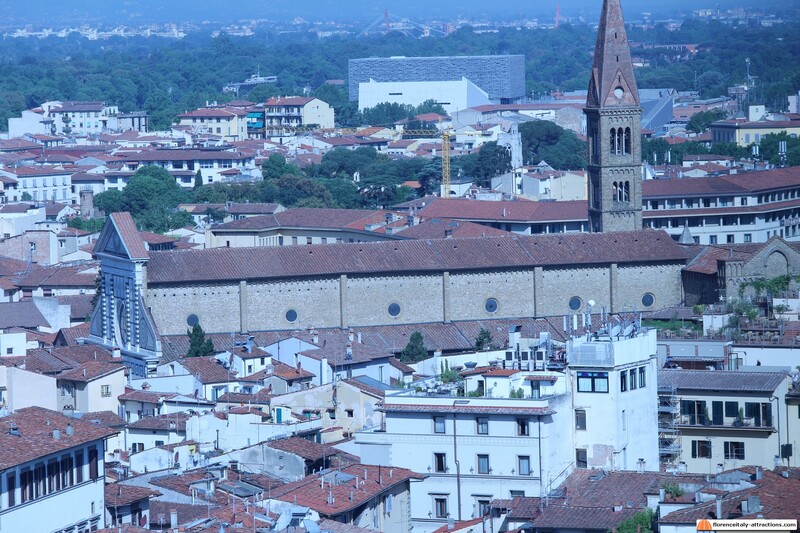 Here are some pictures taken while climbing Giotto’s Campanile, they explain how beautiful this place is.